Nearly half of Baby boomers seeking to start their own business say the main reason is a desire to call their own shots. 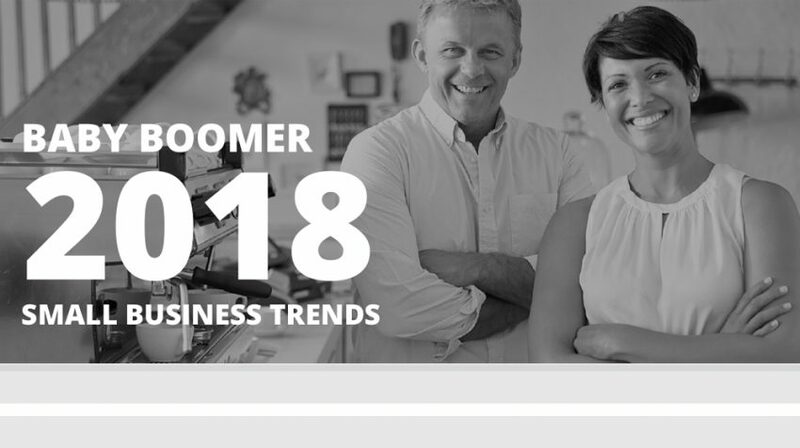 In a recent Guidant Financial Baby Boomer 2018 Small Business Trends survey, 43% of respondents gave “ready to be my own boss” as their main motivation to open a business. Business owners over the age of 50 accounted for 50% of the nationwide aspiring entrepreneurs in the Guidant survey. This was a 10% increase from the previous year. The other motivations for opening a business included: a desire to pursue a passion (42%), the desire to take advantage of an opportunity (36%), an unhappiness with corporate America (22%), and being laid off or outsourced from their current position (15%). Baby boomers born between 1946 and 1964 are driving small business growth by expanding their existing enterprises or as an encore career. This experience gives them a great advantage over younger entrepreneurs. The Guidant Financial survey was carried out between November 28, 2017, and December 1, 2017. More than 2,600 male and female small business owners and aspiring entrepreneurs responded to the email survey across the US, including Alaska and Hawaii. The participants ranged in age from 18 to over 70. The survey also shows the Baby Boomer demographic to be living longer and healthier lives with the need for more than their retirement plans to fund their lifestyles. This group also showed a very positive attitude with 76% of the owners saying their happiness level was 8 or higher on a scale of 1 to 10. The vast majority said they were in the process of expanding their business with 67% saying their business was profitable and only 6% saying they were looking to sell. Predictably, funding was listed as the biggest hurtle for 61% of respondents. Drilling down, 47% said they did not have the cash for a down payment, 46% listed a lack of knowledge about funding options, 24% complained of unqualified credit scores, 19% were concerned about debt and 18% listed trouble with bank loan approval.